Uganda is a diverse tourism destination and has continued to draw increasing number of world travellers to undertake safari tours to Uganda. Considering its wide range of attractions and activities that range from the snowcapped Rwenzori mountains – the hub of mountain trekking adventure in Uganda, the endangered mountain gorillas that form the ground for gorilla trekking safaris and tours in Uganda, wild game including the Big five of land animals which form the ground for wildlife safari tours in Uganda among other attractions, Uganda qualifies as a great destination for world travellers. Standing at 5,109m above sea level, the Rwenzori Mountains formerly known as the mountains of the moon as noted by Ptolemy the Greek geographer in 150AD has five vegetation zones that pose a diverse climbing experience for Uganda safaris tour undertakers. 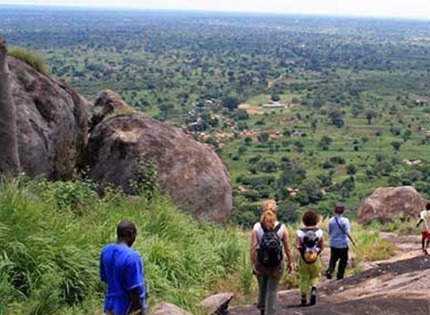 The mountain has the potential of pulling 40,000 foreign trekkers per annum something that has to be taped for the benefit of Uganda’s tourism.